Oh Oscar De La Renata, be still my heart. I love so much about this collection; the candy colours, the tulle, lace and ladylike detail, the fit and shapes and the drama of it all. If I had millions in the bank I would dress head to toe in Oscar every day. Well, on the days I wasn’t wearing Balmain or Marchesa obviously. Here are my absolute favourites from his new fall collection. I am hoping the highstreet cottons on and creates some similar pieces that are within my budget soon. This is my favourite – it is breathtakingly beautiful. Could I get away with this at work? 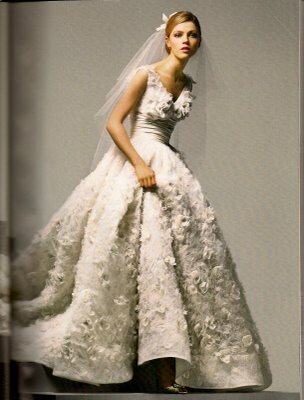 Oscar De La Renta wedding dresses are some of my most googled items as well. 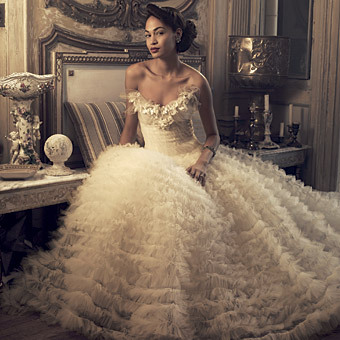 I love the following so much – I am hoping to get something similar to the second one for my upcoming wedding!